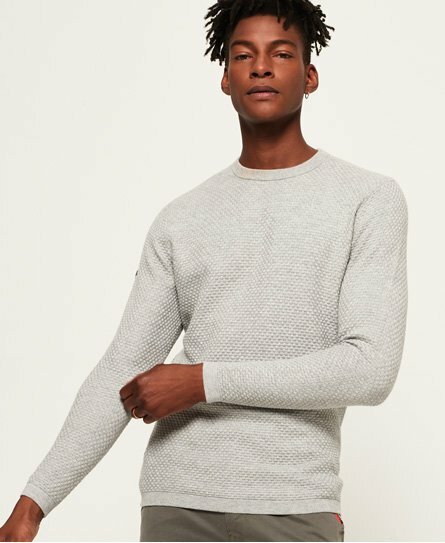 Superdry men’s Premium textured Pima crew neck jumper. This premium crew neck jumper has been designed with high-quality Pima cotton and features an all-over textured designed, ribbed collar and elasticated cuffs and hem. The Premium textured Pima crew neck jumper is finished with a logo tab on the sleeve.